EXCITING NAUTICAL FICTION WITH ENOUGH TWISTS AND TURNS TO KEEP YOU GUESSING! Spring 1748. 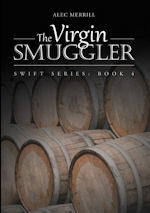 Captain Jon Swift attempts to establish a permanent base in Norfolk, Virginia to mask the organization of contraband operations in the Chesapeake Bay area. Starting a new business is a daunting task at the best of times, but for some reason new obstacles appear to block every step, making the task even more disheartening. 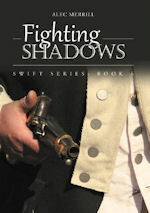 Increasingly frustrated, Swift pushes on, determined to suceed, but it is like punching shadows. Over time, with the aid of some unlikely allies, Swift manages to shed some light on the shadows. The illuminations reveals a well-entrenched competing contraband network run by ruthless men. Swift has little choice. He must surmount the obstacles placed in his path or withdraw from the Chesapeake. On some browsers it may be necessary to right click to open link to publishers. Winter 1747. Jon Swift, captain of the schooner Providence and owner of the Hudson Trading Company, has a new business to run. 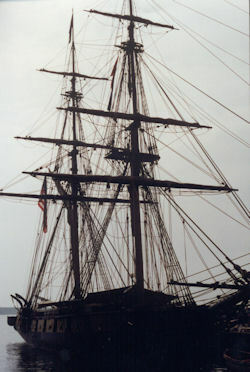 Besides the Providence, he has two other ships working and an additional two sitting idle at anchor. Money is a problem, so Swift continues to run contraband to customers for fast cash. Running contraband is a dangerous business. While avoiding a Royal Navy patrol, the Providence sails into a previously unknown location for smugglers. Swift spies a great opportunity to broaden the number of suppliers and reacts. He finds out too late that where great opportunity abounds, so does great risk, The cost of that opportunity is exceedingly high and sets Swift on a dark path. Assume you are the new owner of a cargo vessel with access to secret information. Your need money to pay for the ship and crew. Your competition is well-entrenched with contracts covering most potential customers. There is little business. Your could lose everything. Would you chance doing something risky? That is exactly the position of Captain Jon Swift of the schooner Providence. In desperation Swift buys cargo and heads south to trade. He soon finds out that cash is king, and the lack of cash can have dire consequences. That lack of cash hinders the acquisition of new loads and the sale of cargo. Accepting cargo in payment in lieu of cash leads to further problems, some of which are life threatening. Swift faces opposition from all directions, and finds cash one of his few allies. Will Swift's cash problems be his downfall? 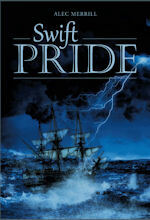 Winter 1747, Jon Swift arrives in New York seeking employment related to his hard earned master’s qualifications. Finding nothing suitable, he signs on the schooner Providence as an able seaman. The Providence heads southward toward the warmer, sunnier climate of Jamaica with a load of trade goods, but never arrives in Kingston. Things go awry when the Providence is boarded. Knocked unconscious during that boarding, Swift wakens to find himself in dire circumstances. Keen to obtain some form of retribution from the people responsible for his present circumstances, Swift must first find a way to escape. 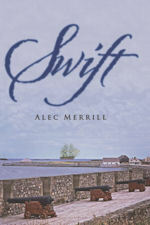 Just how will Swift manage to get out of his predicament? Is any retribution possible from those responsible? Summer 1746. Louisbourg has fallen. HMS Mermaid, a forty gun ship of the line, escorts a convoy containing surrendered Frenchmen across the Atlantic to Brest, France. 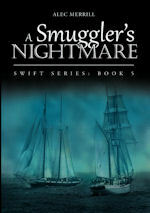 Pressed sailor, Jon Swift, struggles with personal demons. Torn from his family by the press gang, their welfare still haunts him. The inequities and injustices on board a Royal Navy ship of the line add fuel to the fire. Swift seriously contemplates desertion. Events on the Mermaid continually place Swift in harm’s way further swaying him. On the other side of the coin, Swift is proud of his achievements, and with no other skills except sailing, a sea life beckons. Will his pride and fortitude see him through this dilemma, or will punishment and arrogance tip the scales the other way? A young impressionable scamp is pressed into the Royal Navy. Within this regimented environment, the lad learns what is necessary to become a valued sailor, and becomes a man in the process. His skill, knowledge and determination are tested as his ship joins battle with the French during the first siege of Louisbourg. © 2013-2018 Alec Merrill all rights reserved.